The following article is a guest post by Susie Hughes, Vice President of Allison+Partners, and Kate Lynch, Director at Allison+Partners. In Mike Krieger of Instagram’s keynote talk yesterday at Web Summit, he said Instagram’s mantra is “Simple things first.” It’s clear that the Web Summit team has taken the same approach over the past six years, growing the event from 400 people in one room to more than 40,000 across two of Dublin’s largest event venues. With 20 stages and hundreds of speakers, it’s impossible to hear everything, but we were able to sit in on some extremely insightful panel discussions and keynote sessions on Day One. One highlight was the discussion on virtual empathy on the Society Stage, where executives from Talkspace, Affectiva and Linden Lab- hosted by Nathalie Nahai of The Web Psychologist for The Guardian- discussed the future of how machines might learn to feel emotions as humans do. It was fascinating to hear the group talk about how we might discuss our problems with virtual therapists rather than physical ones. The speakers also touched on how technology that allows us to take on another identity (such as Second Life) actually helps us empathize more rather than less by allowing us to truly understand what it’s like in someone else’s shoes. On the Main Stage, we heard Jamie Drummond from the ONE Campaign talking about the sexist data crisis. ONE is an international campaigning and advocacy organization taking action to end poverty and preventable disease- particularly in Africa- by raising public awareness to support effective policies and progress. Jamie explained to the audience how women’s struggles are underrepresented in the sub-Sahara and showed data that reflects this. The overarching message was that “poverty is sexist”. In an effort to share this message far and wide, they have introduced ‘#strengthie’ and the biggest #strengthie taken so far was with all the attendees at the Main Stage. We were lucky enough to be part of it! 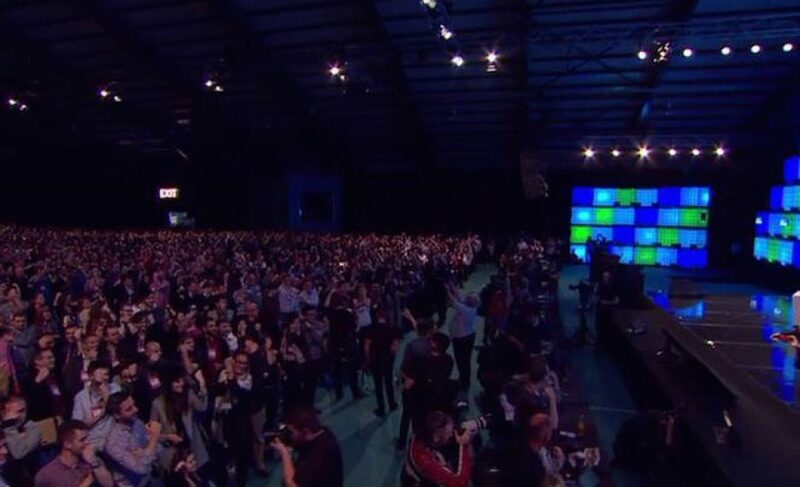 Web Summit is also famous for its evening events, otherwise known as Night Summit. Our first stop was the CurrencyFair party at their offices (they only moved in on Monday! ), where we listened to a live recording of the popular podcast Irish Man Abroad, with the host Jarlath Regan interviewing Irish economist David McWilliams about topics ranging from David’s childhood to career advice. CurrencyFair is an Irish startup success story. The global money transfer solution has customers all over the world and is continuing to grow at a rapid pace. We then moved onto the Intercom Speakeasy event in their offices in the former Anglo Irish Bank building. We were able to catch up with a number of old friends from previous years at Web Summit, including Peter Coppinger, CEO of fast-growing Cork-based company Teamwork. When we first met Peter four years ago he was just getting the company off the ground so it was great to hear about its continued success! We ended the night at The Dean in Sophie’s rooftop bar overlooking the city. Day Two has already started strong and looking forward to another productive day.